Below are our regular, Ongoing Events. For our other Special Events, please go to our Calendar of Classes & Events on the Home Page. Just click on the event of interest to view details about it. 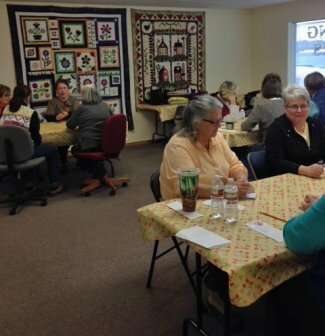 Our first "Fat Quarter" Bunco Party took place on January 8th and it was an absolute blast. Everyone had so much fun! At the end of the first session, 7 lucky ladies either left with fat quarters to grow their stash or gift certificates to Patches. 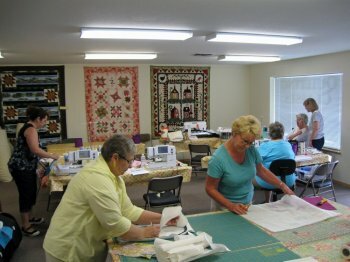 This Bunco group will meet at 1:00 pm, the second Wednesday of every month, right here at Patchwork Quilts. 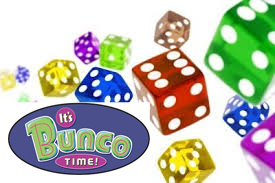 Have you ever played Bunco? Would you like to learn? If there is enough interest we will also have an evening session or perhaps another weekday session. 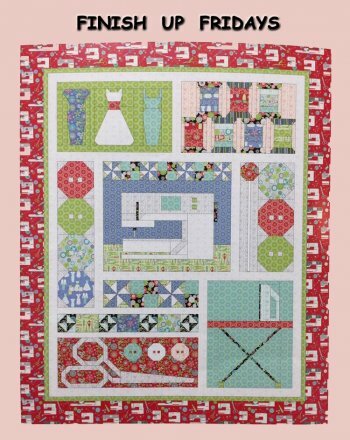 The cost is $10.00 per month; this purchases 2 fat quarters monthly, puts $2.00 in another prize fund and the balance goes to cover the refreshment cost for half time. We need 12 players per session. We will also need subs. This is a very simple dice game; great fun and a wonderful chance to meet new people and increase your fat quarter stash. Please contact Patches if you are interested. PJ Party got a new date (1st Fridays) and a new name! Dinner is at 6:00pm and still $7.00.The fun starts when the shop closes. A simply delicious dinner is served – you bring your projects and finish them with all of us while you gab the night away. We always have a great time! Don't forget your supplies.